After your small and medium sized miniatures have all been stored clearly arranged in the other Half-Size foam trays, you may wonder what to do with the map tiles, doors or tokens? This foam tray would be a solution. 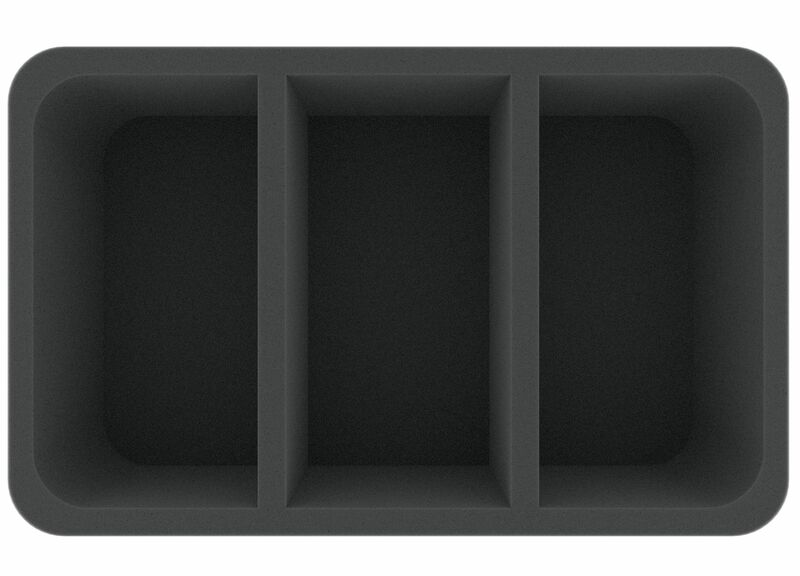 Three large compartments provide plenty of storage space especially for bulky game components. Even particularly large figures, such as the shadow dragon, can be safely stowed here. Of course, the Half-Size foam tray can be combined with other Feldherr trays. Due to its standard dimensions, it fits into most of our storage and transport systems, such as the storage box, the MAXI bag or the backpack. Each of the 3 compartments is 80 mm long x 152 mm wide x 75 mm deep. 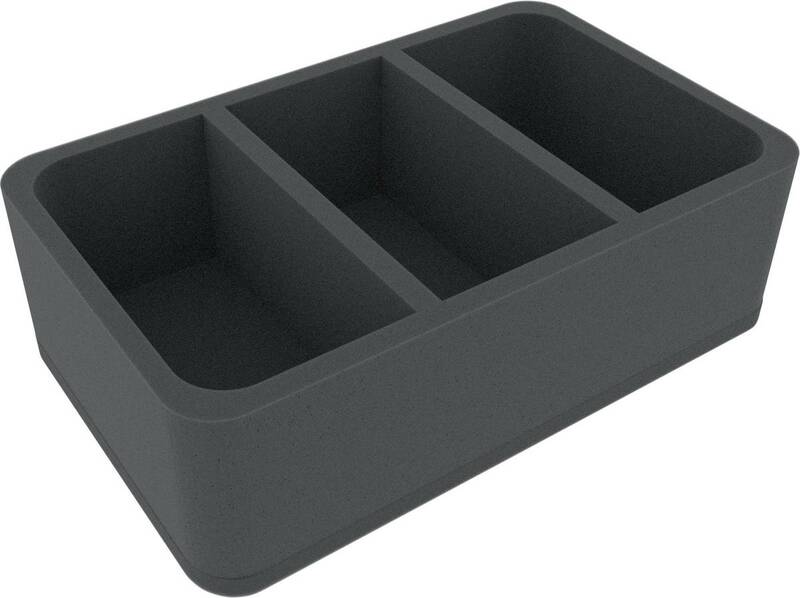 The foam tray measures 275 mm x 172 mm x 85 mm total height (75 mm usable height + 10 mm foam base).